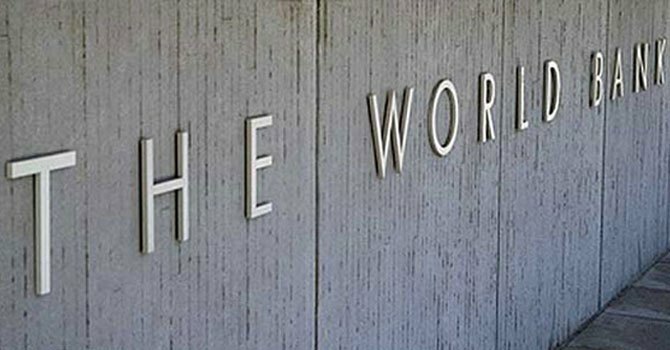 Zimbabwe has recorded significant gains on the Ease of Doing Business Reforms with World Bank’s global ratings currently placing the country at position 155 out of 190, from 171 three years ago, but delays in legislative frameworks by the government continue to stall progress. Since 2017, four major reforms have since improved in the areas of duration of registration of businesses, reduced costs of obtaining construction permits, access to credit and enforcement of contracts, all aimed at easing the complexities in setting up businesses. Speaking at the World Bank Group Stakeholders breakfast meeting today, World Bank, Acting country manager Fadzai Mukonoweshuro said the country has improved its business regulations. “Zimbabwe‘s distance to frontier score improved from 48.52 in the doing business of 2018 to 50.44 in the doing business of 2019, an upward improvement of 1.92. This means that in the last year, Zimbabwe has improved its business regulations as captured by the doing business indicators in absolute terms and that the gap with the global regulatory frontier is narrowing,” she said. Under the reforms, time taken to process construction permits has been narrowed from 10 days to six, while the cost of acquiring the same was reduced by 4.7 percentage point. Time taken to get electricity connection has also been reduced from 106 days in 2017 to 45 currently. Despite gains recorded by various Ease of Doing Business thematic groups, there is however a snail-paced approach in the implementation of the reforms as the major drawback. Zimbabwe still lags behind its regional peers on the ease of doing business rankings such as Mauritius ranked 20, Rwanda (29) and Kenya (61). “Delays in passing out into law some of the recommendations is affecting the implementations of the ease of business reforms,” Engineer Simon Mutamba from Zesa holdings warned. Legislations such as the Companies Act and the Insolvency Act remain yet to be enacted despite having been presented to the executive to be signed into law. Analysts however say, owing to lack of information dissemination to concerned stakeholders, public perception remains unchanged despite significant improvements recorded. Most of government agencies do not have their websites updated to reflect the latest developments made regarding reforms done. This is more telling at government agencies offices were the latest developments are not even printed on the notice boards. “The information gap remains the biggest challenge to an improved business environment. We should be cognitive to the fact that the primary focus of these reforms is to encourage as many small and medium enterprises to open and create jobs, but if the very small business operators are not aware of these developments they remain cautious of approaching government agencies for registration with the idea that the processes are too costly and time consuming. This cultivates high levels of informality,” economic expert Pepukai Chivore told 263ChatBusiness. Most of emerging businesses in the country continue to face high costs of licensing and registration fees, high cost of credit and high taxation among other notable bottlenecks discouraging them from formalization of their operations.